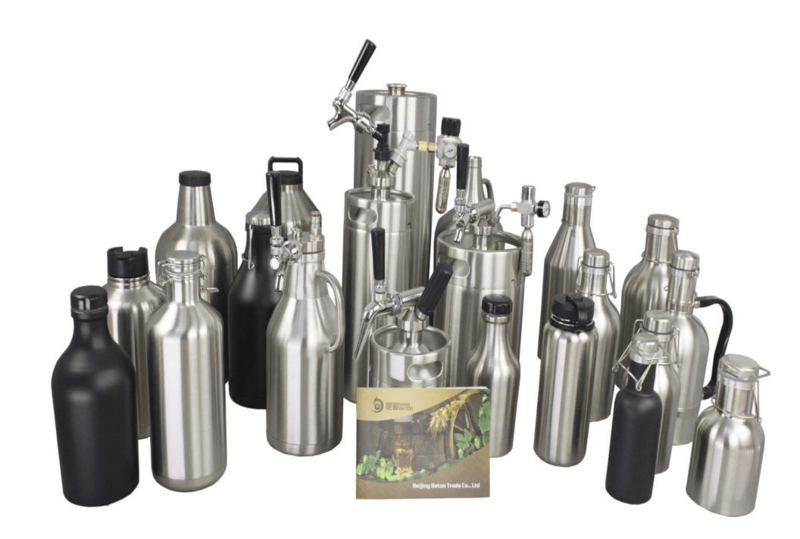 stainless steel kegs Why should i choose stainless steel kegs or growler ? UncategorizedWhy should i choose stainless steel kegs or growler ? We notice that more and more glass beer containers switch to stainless steel kegs and growlers . This change is due to the fact that stainless steel materials present more advantages than the others. But what is stainless steel ? Stainless steel is an alloy of Iron with a minimum of 10.5% Chromium. Chromium is very resistant to corrosion , moisture and rust . Stainless steel is divided into 4 main categories. People use stainless steel for diverse applications. However ,the one who will retain our attention is the food-grade stainless steel . These have the highest corrosion resistance . Stainless steel growlers and mini-kegs are 100 %reusable , recyclable .There are less expensive too. Also, durable and easy to clean or maintain . In addition ,there are no chemicals that can migrate into your food from these products . Only because it can prevents products contamination . Stainless steel withstands more longer over time and to external aggression . External aggressions like sunlight ,high and low temperatures,corrosion… These external effects make your beer warm ,flat and with a bad taste. But 304 food grade the stainless steel keeps your beer cold and fresh. Unlike the glass bottle who is easily breakable, stainless steel kegs or growlers avoid you this worry. It is definitively a good investment for a lifetime . Draft Beer or Craft Beer ,are they different ?